I learned a ton, including the fact that the state of Pennsylvania just rolled out a 529 for special needs individuals. More on that another day, but essentially, the money can be used for needs beyond education at any time. 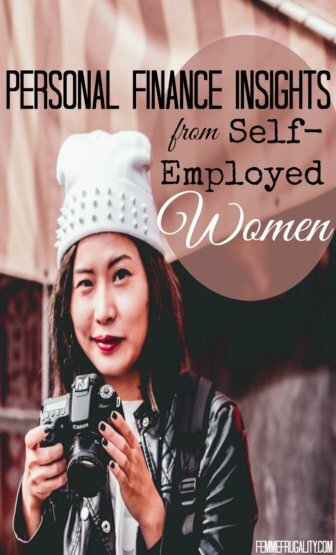 I also learned a lot about what self-employed women are worried about when it comes to personal finance, and also got some insights from those who have done this freelancing gig for a lot longer than I have. I wanted to share some of that with you here today. Women, in general, tend to take care of everyone else before they take care of themselves. This thought process goes beyond day-to-day care taking and extends to finances. When you make your own well-being the last priority, your retirement savings is going to suffer—or be nonexistent. We undervalue ourselves. When we don’t charge enough for our services, it becomes more difficult to set larger dollar amounts aside for tomorrow. Automation is an awesome way to make sure you’re saving enough for retirement. But that becomes a little bit difficult when you have a variable income. There are several ways to tackle this issue. One is to treat your retirement savings like a bill—just as important as your rent or cell phone bill. If you automate those bills, you should be able to automate your retirement contributions for the month if you’ve made paying yourself first a priority. Another way you could approach it is by contributing a certain percentage of each paycheck. This method can’t be used in conjunction with automation when your pay is variable, but if you get disciplined about it the habit could become just as routine. When you’re self-employed, you have to worry about what happens when you can’t work because that’s the moment money stops coming in. There are no such things as sick days when you work for yourself. There are also major concerns around disability and finding a good policy that won’t cost you an arm and a leg. These policies are arguably just as if not more important than life insurance during your working years. Another big concern was long-term care and its accompanying insurance. This wasn’t just a concern for ourselves. People are living longer. If your parents don’t have this type of coverage, you, their child, will in all likelihood end up footing part if not all of the bill. These situations can cause temporary financial strife or even eat into the money you’ve been saving for your own golden years. It can really mess with your head, too, because the financial hell doesn’t end until your loved one does, and that’s not something you want to see happen–money be damned. What if I’m starting late? This was a major concern. It’s all well and good to tell twenty-five year olds that compound interest is their friend. Time is on their side, and moderate savings today could lead to major returns in the future. But what if you’re just getting started at 60? Or even 50? It’s best to sit down with a trusted financial advisor in these situations. Every individual’s situation is so unique, and when you don’t have time on your side, blanket advice is rarely going to apply. Remember when that money mentor told me you don’t want to keep all of your eggs in one basket? There was a lot of agreement with that sentiment yesterday. Whether you’re diversifying your income streams within your freelancing business or diversifying your skills in multiple fields, having something to fall back on when one stream of revenue falls through can be a lifesaver. This is totally unrelated to self-employment, but I did learn a new financial rule of thumb during the event. Apparently, for every $10,000 you make in salary, you will be out of work for one month should you become unemployed. Maybe that’s why CEO’s get such generous severance packages while entry-level workers often get—unemployment? How do we spread this message to others? At the end of our event, I was thrilled to hear that everyone was energized to take this message to the women in their lives. There was just one question. Cyber Balkanism is the phenomenon of all of us staying in our own little corner of the internet. We don’t actually spread ideas, because we’re talking to the people who are already listening. Go where other people are. If you enjoy reading mommy blogs, go there and engage. Into fashion? Same deal. NES games? Seriously, there’s a corner of the internet for everything. When you engage with people, they have a way of engaging back. That’s true online, but it’s true in real life, too. There is still such a taboo around money discussions, and I personally feel this silence is especially detrimental to women. We, who want to close the gender wage gap, are uncomfortable discussing ways to increase income. 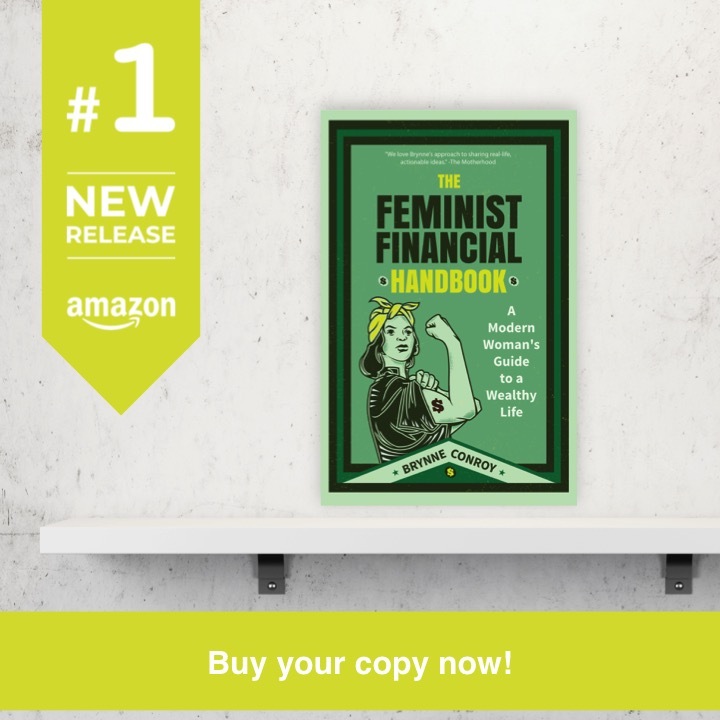 We, who want to combat sexism in finance, but may be uncomfortable bringing up the subject of higher-level finances with friends. Go where other people are. Get outside your bubble. Meaningfully engage, and then don’t be afraid to bring up money. Also, share this post. Post haste. Should I Hire Employees or Contractors? This entry was posted in Money Management on January 13, 2017 by femmefrugality. This was an amazing read! All of these points are SO important for self-employed (or future self-employed) women to know and understand. Thank you for sharing! No problem, Chonce! I’m glad it resonated. It was fun to get out and hear from other freelancers who aren’t necessarily in our same field, and how consistent the concerns were! I read an interesting article on this not too long ago that said women ask for more money just as often as men, but are far less likely to get it. Found it incredibly interesting as most of the stats that I had seen passed around were similar to the ones you mention seeing, as well. So we definitely need to stand up for ourselves. And enlist male allies! So much of women’s finances is just common sense finances in a space where women feel welcome. While we obviously face unique challenges, the core principles stay the same!